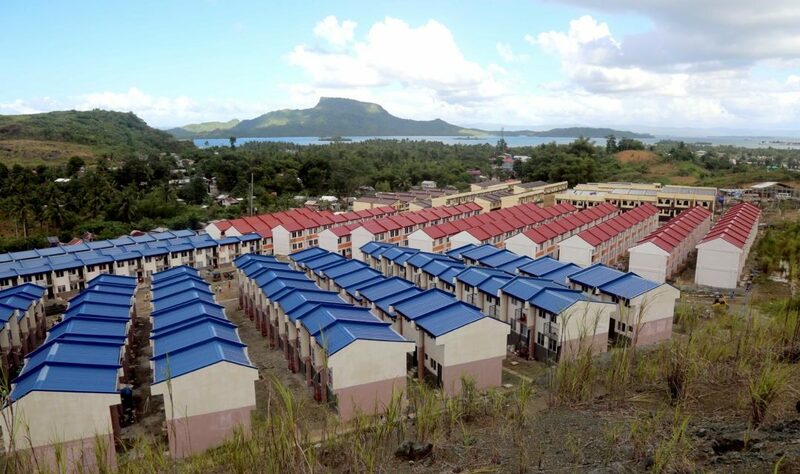 Some 263 houses were turned over to families in Tacloban City that were displaced by super Typhoon Yolanda in 2013. The families were among the first batch of recipients of permanent housing units at the Pope Francis Village. 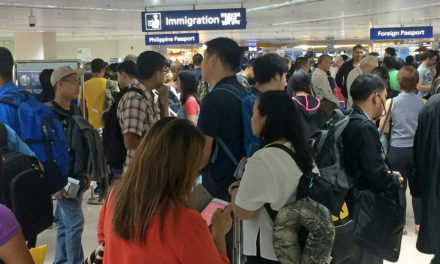 The project was constructed under a consortium of Development and Peace – Caritas Canada, Caritas Philippines, Archdiocese of Palo, Redemptorist Congregation, and the Urban Poor Associates. Canadian delegation led by Bishop Noel Simard along with church and government officials graced the turnover ceremony on Feb. 10. Simard said the event was “a manifestation of us in Canada responding to the great need and suffering you have experienced in 2013”. 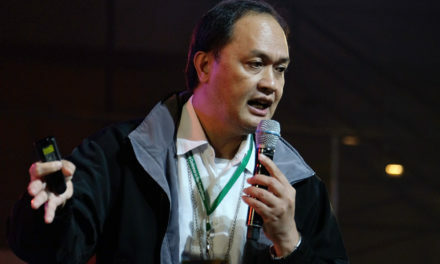 “D&P cannot help but respond in the best way we can, despite the many difficulties we have to face in building the Pope Francis Village,” he said. 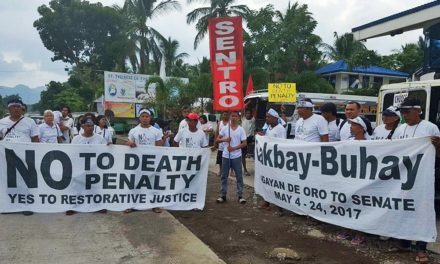 “And now seeing the happy faces of the families, of the children in their new homes, we can only say that D&P did the right thing pushing for this project,” Simard said. Fr. Edwin Gariguez of Caritas Philippines reiterated the Church’s commitment to help the Yolanda victims. “The way we were able to organize the survivors and mobilize all resources available were a reflection of our commitment to better the lives of the most vulnerable,” he said. 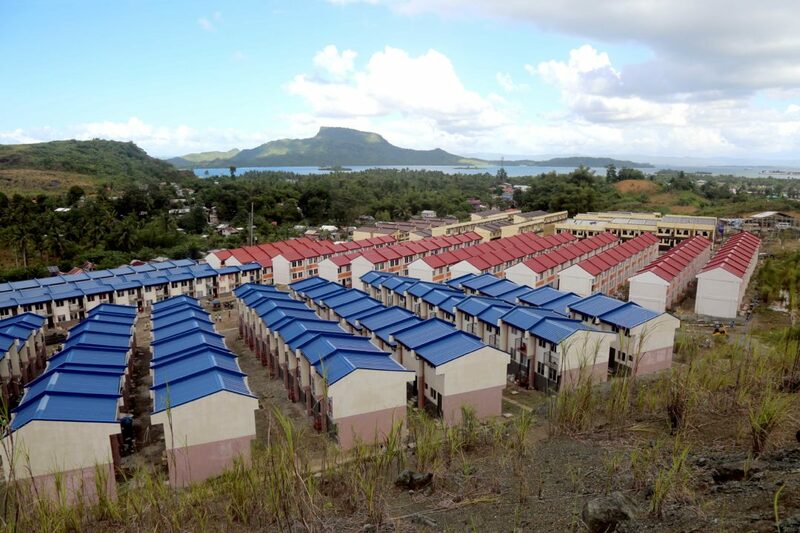 The P187.8 million project will have about 566 housing units, six multipurpose classroom, a chapel, village market, and waste water treatment and materials recovery facilities. Jess Agustin, country manager of D&P, said that Pope Francis Village is “truly an integrated, community-driven model community that is reflective of the people’s aspirations”. “Our work in providing alternatives like Pope Francis Village’s model community has been an expression of solidarity and hope, despite despair, hatred and division,” he said. The construction of Pope Francis Village is expected to be completed in June 2019. 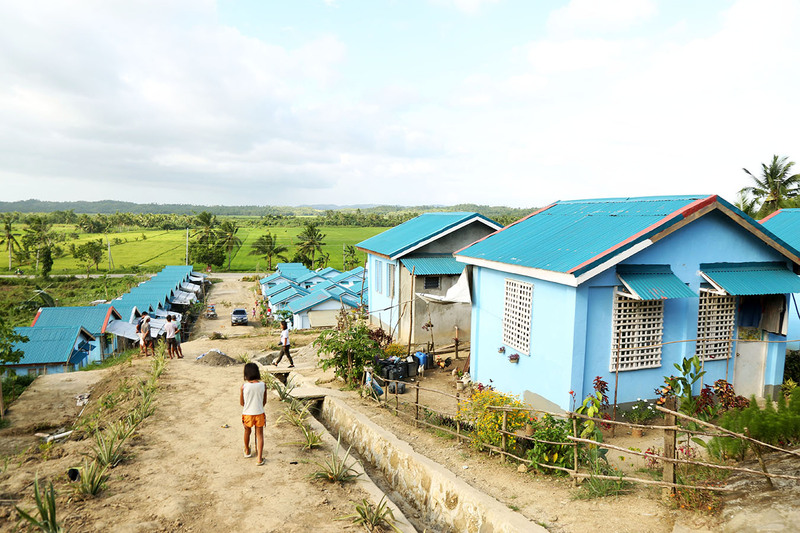 Caritas Philippines has earlier reported that it has built more than 30,000 homes, benefiting thousands of Yolanda survivors. 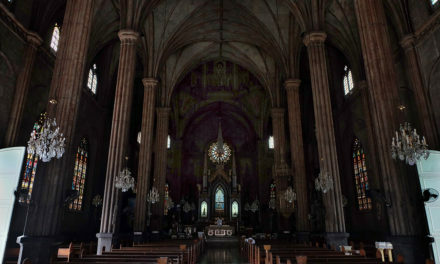 Aside from housing projects, the Church also focused on livelihood programs, community organizing, community-managed disaster risk reduction, ecosystems recovery, and institutional capacity building, among others. “This is our Church not giving up on her people,” Gariguez said.